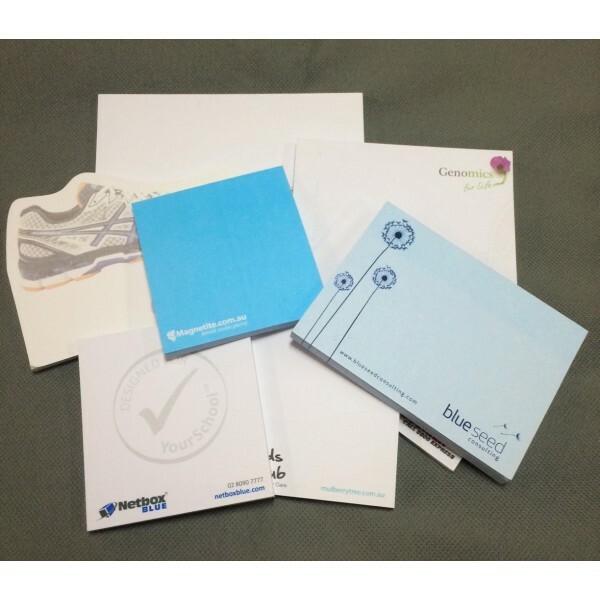 Grab the attention of future customers with these attractive 100 mm x 75 mm sticky note pads. The horizontal, large surface area lends itself to plenty of writing space. Great for family memos, phone messages, reminder notes, and grocery lists-just to name a few uses. Custom Print Anything you Like! The convenient note pads can be adorned with your favorite image, company logo, or message, printed in one-colour ink. They make a cost-effective giveaway and an effective way to advertise your business. Hand them out at trade shows to help drive traffic to your exhibit booth and grow your business. Give them out at sales meetings, educational seminars, or company retreats-they make great writing tablets for taking notes. Keep them in the office for every day use-their practical applications make for a more efficient office. Customers, future customers, and staff members will love them. The sticky note pad contains 40 sheets of your choice of paper colour with each individual page adorned with the branding of your choosing. The option for 50 and 100 sheets of paper is also available upon request. Please let us know your preference when you make your enquiry. 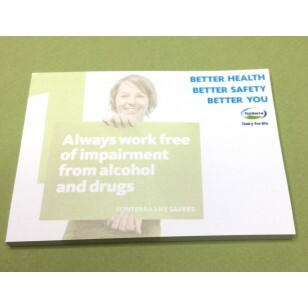 Price includes the cost of the one-colour print image or wording, but does not include GST. Printing is done in Australia and product(s) can only be delivered to customers within Australia? It is recommended that the imprint area be no larger than 50% of the page size so that there is maximum writing space for the end-user. It also contains a backing paper as the last page and an adhesive strip that can be positioned on any one side of the sticky note pad.